Dr. Davis specializes in primary eye care for children and adults. She has extensive experience in general eye care, identification of ocular diseases, and contact lens fitting. She is licensed by the North Carolina State Board of Optometry. Dr. Davis graduated from Indiana University’s School of Optometry following her completion of a Bachelor of Science degree from Western Illinois University, where she achieved President’s List and Dean’s List at both universities. She completed optometric internships which included rotations at Quantico Naval Hospital in Quantico, VA, Indiana University in Bloomington, IN, Veteran’s Administration Hospital at Montrose, NY, and Clinica Optometrica in Guanajuato, Mexico. A Western North Carolina native, Dr. Davis served in the U.S. Navy onboard the USS Theodore Roosevelt from 1996 to 2000 prior to completing her academic and optometric degrees. In 2007 Dr. Davis worked as a volunteer in Ghana and was recognized as Volunteer of the Year by Unite for Sight. In 2008 she served as a Presenter at the 5th Annual International Health Conference at Yale University in New Haven, CT, and from 2007-2009 served as VP of Humanitarian Missions for National Vision Inc. In 2006 and 2011 Dr. Davis also volunteered as an intern in the optometric clinic at Guanajuato, Mexico with VOSH International (Volunteer Optometric Services to Humanity). Dr. Davis has several years’ optometric experience in Illinois, Louisiana and South Carolina. 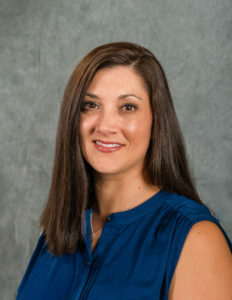 In 2015 she relocated to western NC and joined Asheville Eye Associates. She and her husband enjoy traveling, hiking and biking.